Mollison's Blood Transfusion in Clinical Medicine is an icon in the field of transfusion and the first edition was published in 1951. 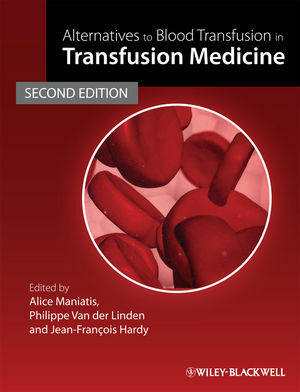 The book arose from the concept of the transfusionist, as both scientist and expert consultant. 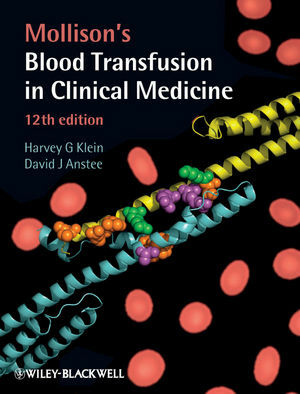 For many years, this text has provided the primary, and often the sole, reference for detailed information and practical experience in blood transfusion. The book is completely revised and updated throughout to include the latest advances and developments in the field. Harvey Klein is Chief, Department of Transfusion Medicine, NIH Warren Grant Magnuson Clinical Centre and past-President of the American Association of Blood Banks. He is a recognized leader in defining transfusion medicine as a broader-based clinical and laboratory consultative subspecialty. Dr. Klein has published widely, authoring or co-authoring more than 150 publications, including journal articles and book chapters on transfusion medicine in major textbooks on hematology, internal medicine, and blood banking. He is on the editorial boards of Transfusion and Transfusion Medicine Reviews. Professor David Anstee is the Director of the Bristol Institute for Transfusion Sciences, as affiliated Institute of the University of Bristol which includes the International Blood Group Reference Laboratory, a World Health Organisation Collaborating Centre. He is also the Research co-ordinator for the National Blood Service in England and the former editor of the journal, Transfusion Medicine.